Under Armour and Bryce Harper will officially release Harper’s second signature cleat, the Harper 2, in Miami at the 2017 All-Star Game. To celebrate the 24-year old phenom’s fifth All-Star selection, Under Armour created the “Miami Bryce” colorway, an ode to the hit ’80s TV show “Miami Vice,” starring Don Johnson. 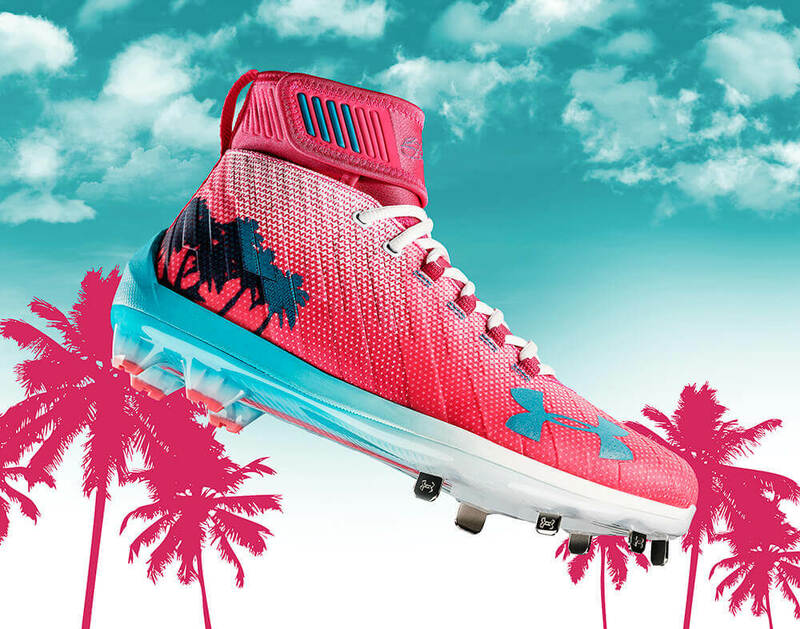 The “Miami Bryce” Harper 2 cleat is now available at UA.com. The saucy limited edition Harper 2 would have made Don Johnson’s “Vice” character, Sonny Crockett proud with its bold and beautiful pastel pink and blue. Just like Crockett’s iconic Italian sport coats, the whites in the plate and upper complete this show-stopping cleat. WPW sat down with Dave Stakel, Under Armour’s Director of Cleated Footwear, to get the skinny on this stunner. 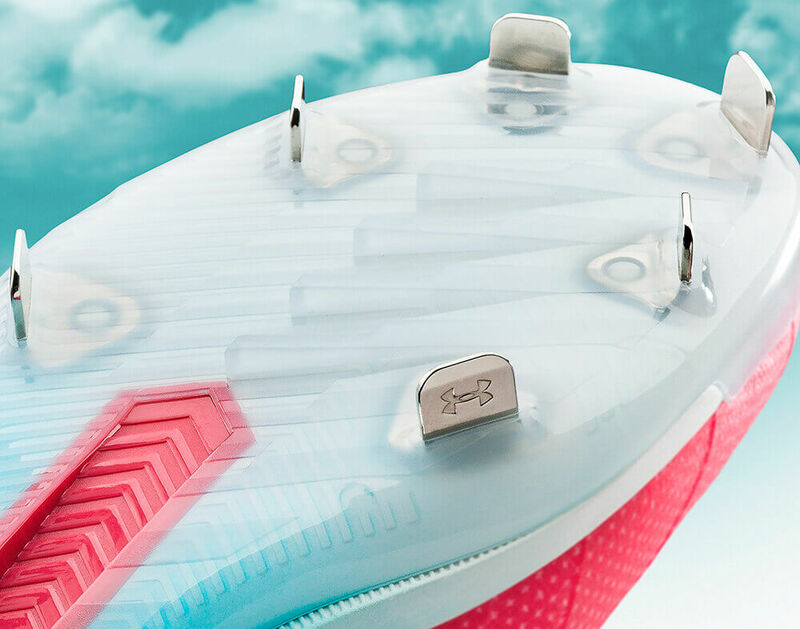 Stakel took us through the birth of the Harper 2 cleat, which features the first true hybrid plate (metal-front/molded-back) from Under Armour, a feature we’ve wished for since 2013 when Bryce first donned a front-metal, back-TPU (molded) Spine plate. 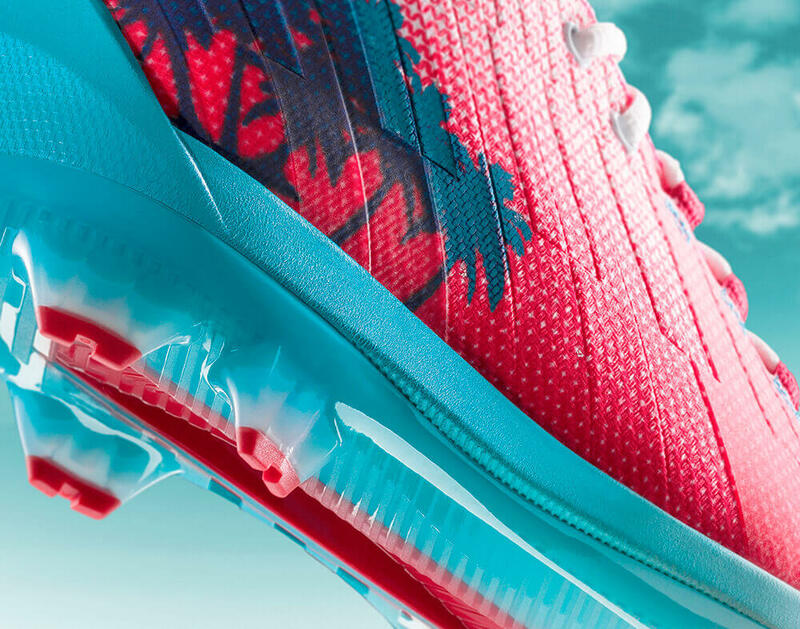 The Harper 2 cleat’s “3-3-4” hybrid plate starts with three longer spikes that give you foundational core traction. Then three secondary metal spikes give additional power in the batter’s box or on the basepaths. 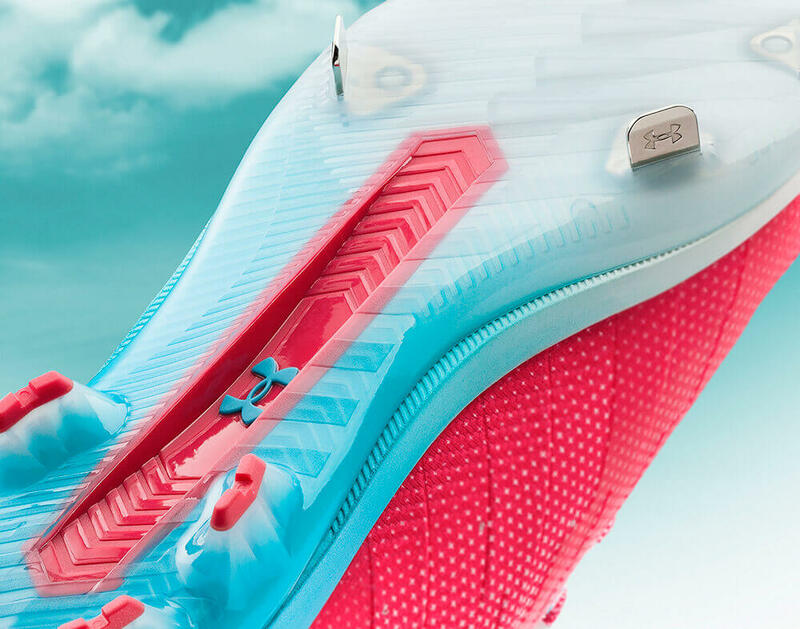 Finally, four TPU heel cleats provide comfort, disperse pressure, and are ultimately easier on the back of the legs and hamstrings while taking weight out of the cleat. 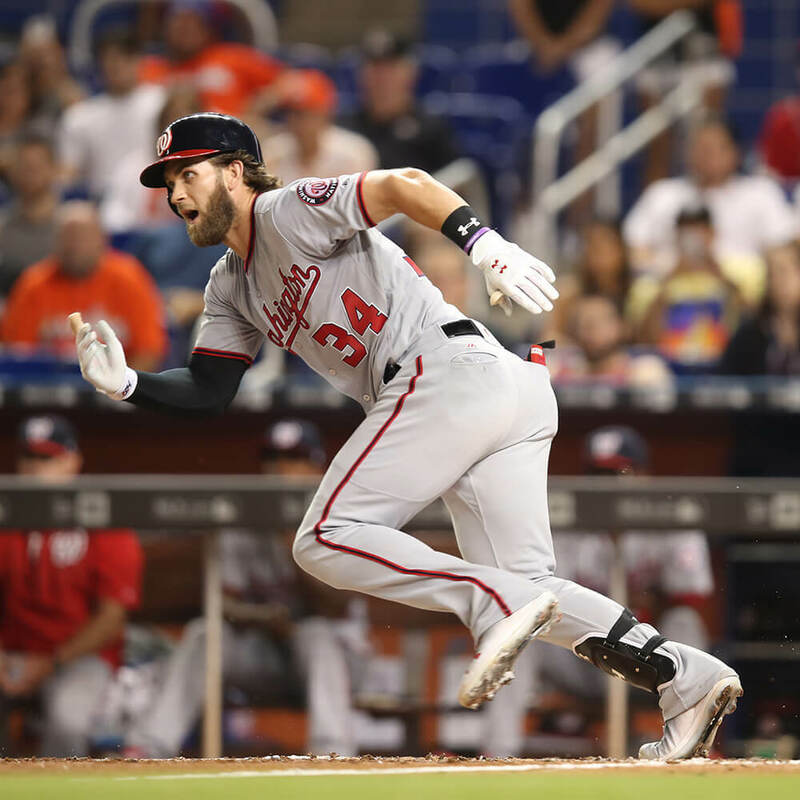 Bryce prefers a cleat to “look clean and be bold,” and once they’ve agreed on a creative direction, its time to move onto the second part of the process—innovation. Stakel, who’s been with UA for 10 years, follows the mantra of “zero distractions” when building a cleat that performs to the standards of a unanimous MVP. 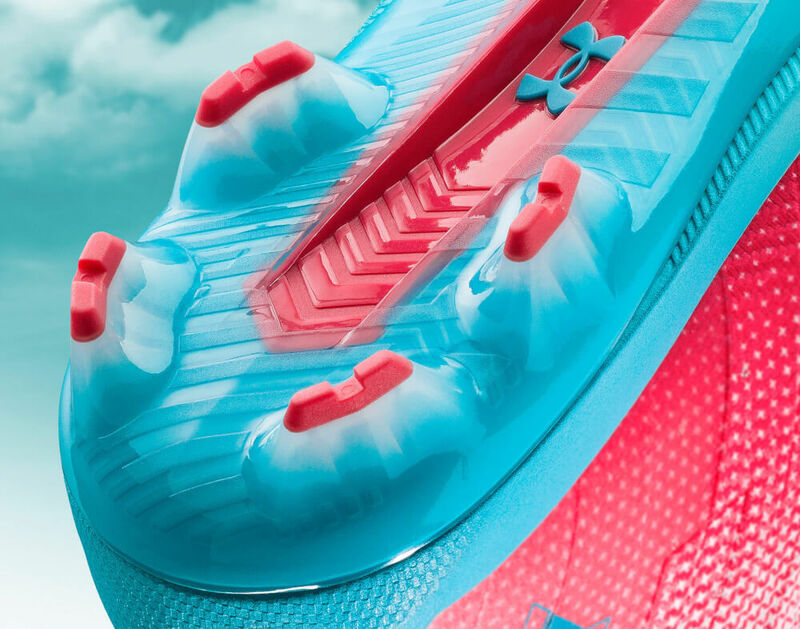 Charged foam technology gives the same cushioning used by Steph Curry (like the Harper 1) and contributes to the overall fit and feel of a high-performance basketball shoe. 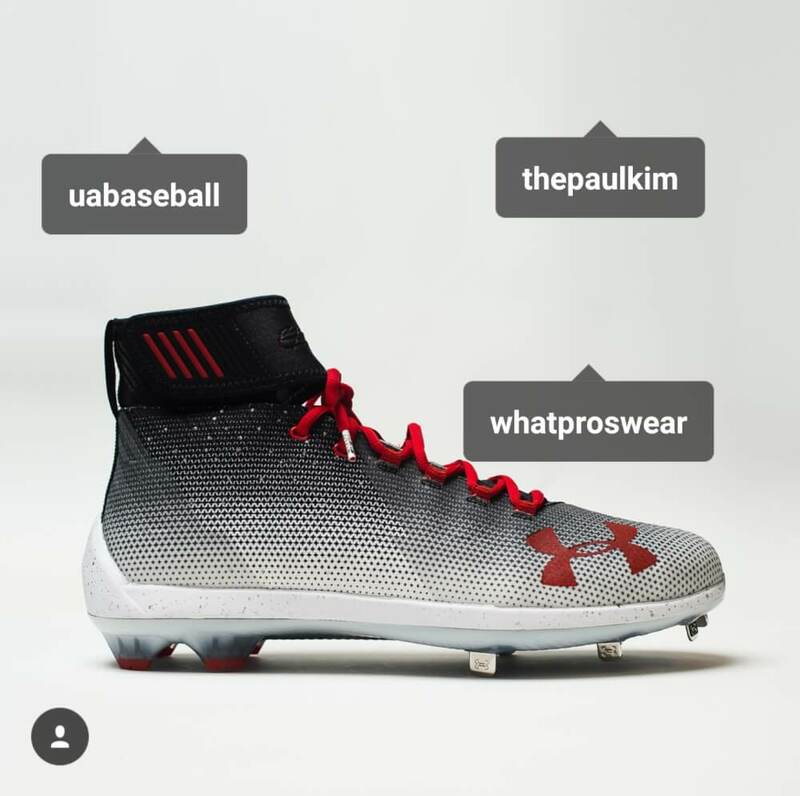 UA took the midsole down a bit to give the player a more stable base, and managed to take a significant amount of weight out of the cleat compared to the Harper 1. The Harper 2 weighs in at 13.2 oz vs the 15.5 oz Harper 1. UA added some more room in the toebox, because, according to Stakel, “One thing every kid is looking for is a sneaker-like fit.” Those looking for such a fit will also appreciate the new neoprene ankle collar, and the woven textile upper. 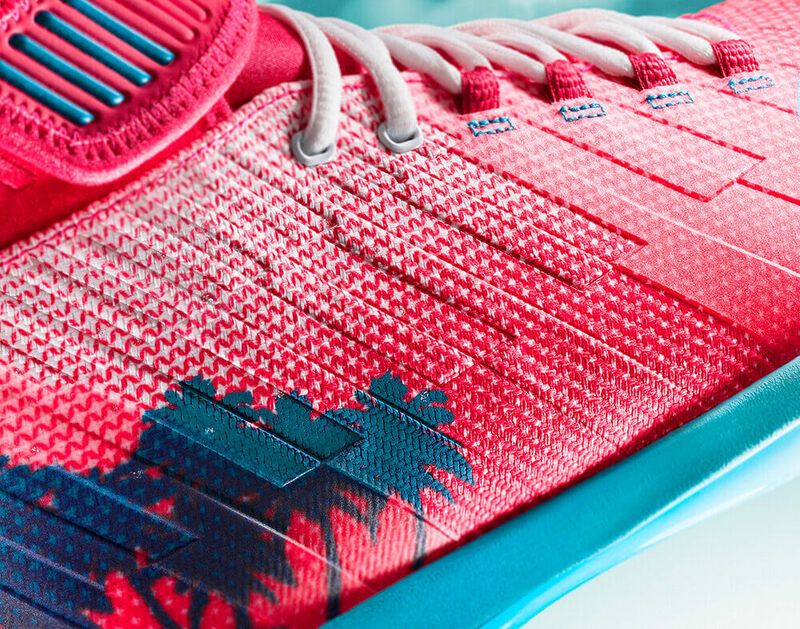 You will also notice that the woven textile is protected by a TPU coating (above photo, last palm tree on the right shows the transition) in the heel and forefoot for durability. The Harper 2 “Miami Bryce” cleat is available now at this link for $130 (Mid only and limited run). The Harper 2 Mid ($120) and Harper 2 Low ($110) will be available in early August. 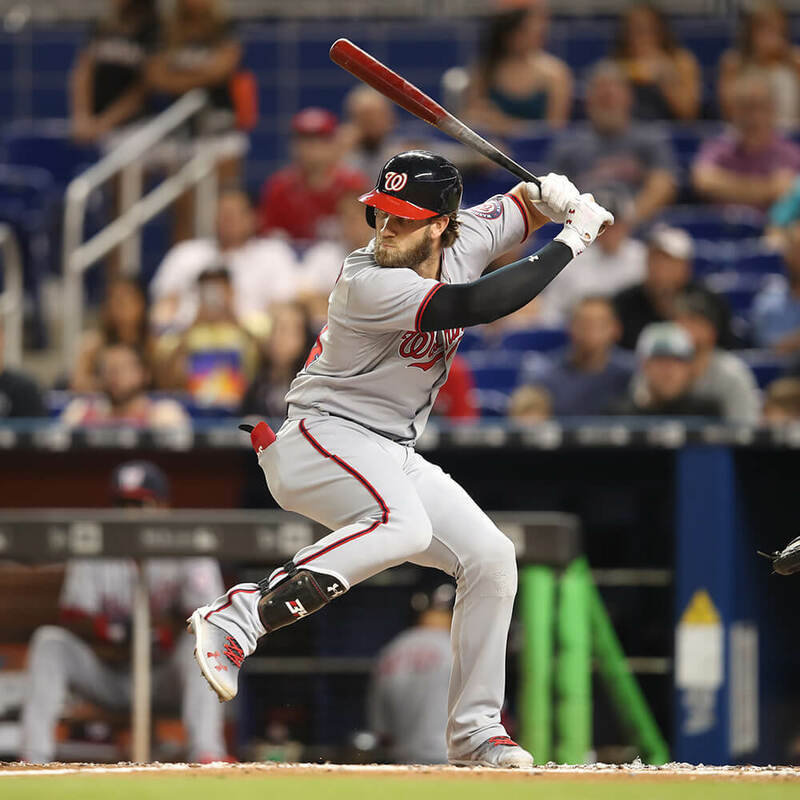 Harper’s usage is about 70/30 Mid to Low if you were wondering. According to UA, there will be some “flow with color” throughout the Fall. What do you all think about the “Miami Bryce”?